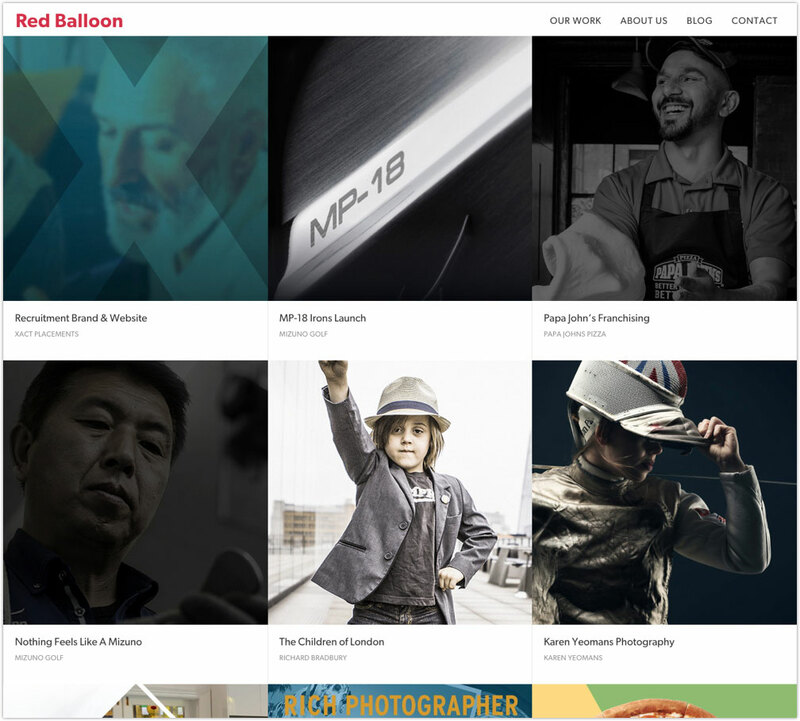 Here at Red Balloon we use WordPress to develop the majority our websites. 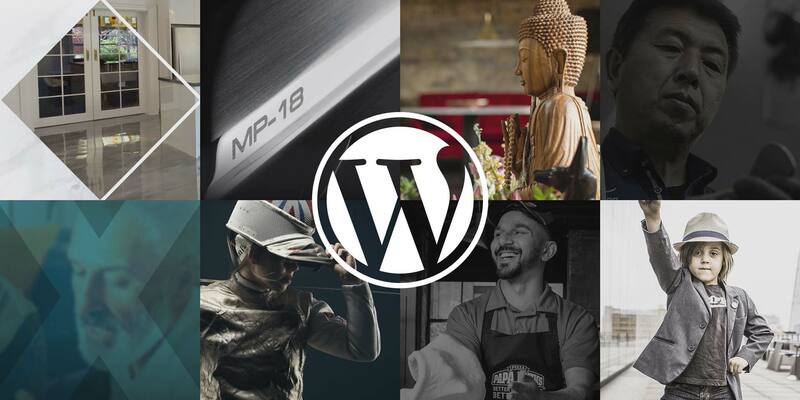 WordPress sometimes gets a bad rep for being slow or insecure, but we’ve found that it’s the best choice for many of our clients sites and we want to give some insight on how we use WordPress to create beautiful, user-friendly websites for our clients. WordPress is a Content Management System (CMS); a system that lets users administer a website without directly editing the code of the pages. It lets you edit the content of your site such as images, text and videos. It also lets you publish new web pages to your site easily. WordPress is one of the most well established content management systems on the internet, having been started in 2003. It’s undergone continuous development since then and continues to get better every year. With this age and popularity there comes advantages and disadvantages. WordPress has ended up with a somewhat mixed reputation with some people vehemently against WordPress sites and others using it exclusively. 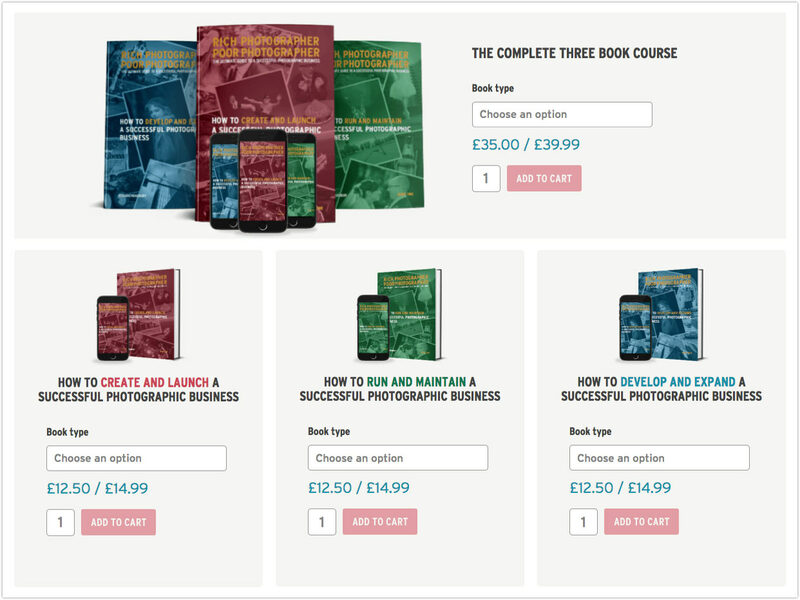 The primary reason we use WordPress is to make content and website administration easier. The WordPress admin panel is simple to use and has a wide range customisation options that are easy to implement, quick to update and powerful in scope. A basic site will only consist of a few pages, maybe with a simple blog. This is fine for a lot of websites, but where would a catalogue of products, or a portfolio of work fit into this structure? Content like this is distinct from the rest of the content of a website and can become difficult to manage if not grouped together logically. These additional content types can be handled by WordPress through the use of custom post types. This make it simple to output all of these pages using a distinct layout and group together a list of similar information. 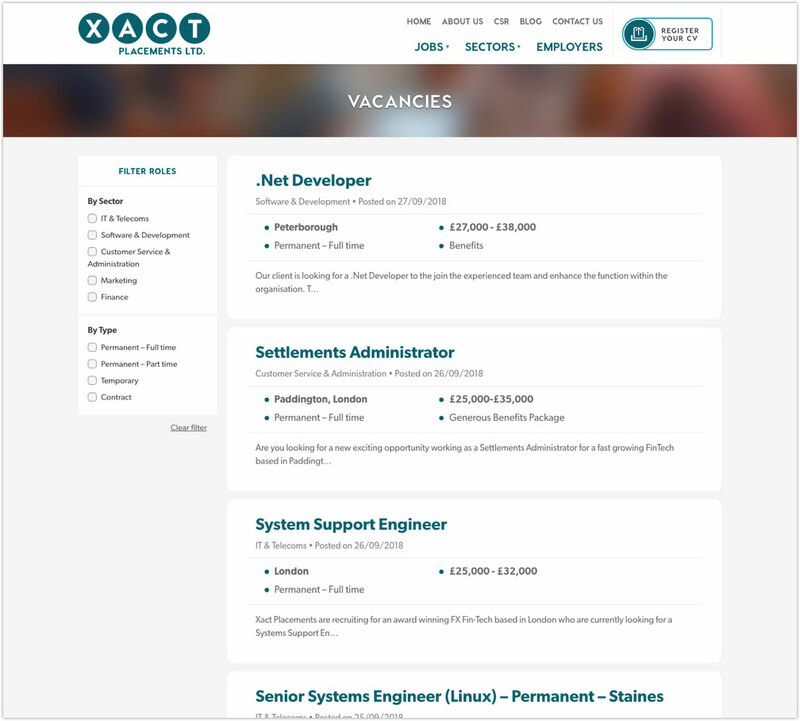 We use a custom post type on our website to display our work and for the job opportunities on Xact Placements. Custom post types, or similar features, are not exclusive to WordPress, but the speed at which they can be added and the flexibility that they offer are unmatched in our experience of other content management systems. This content is also grouped together within the administration panel to make editing easier. Another benefit for companies is that it allows site administrators to have more control over who can edit what content on the site. These custom post types can also be used to store information that isn’t output onto it’s own page, but is output into multiple areas of the site. 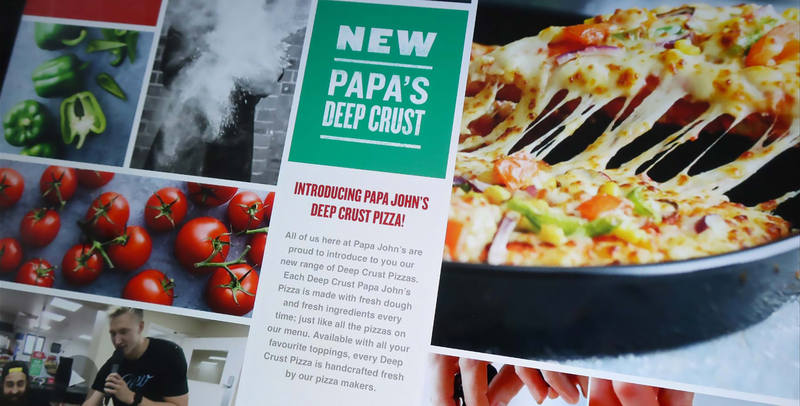 An example of this would be FAQs, a common feature on websites that we’ve used on Papa John’s franchise site. WordPress is not only flexible and extendable, but also very easy to set up. For WordPress it is very cheap and easy to find hosts as the underlying technology is very mature and well established. Due to its popularity many hosting providers offer dedicated hosting packages. For us this means we are able to offer a very competitively priced hosting package for WordPress sites that we develop and manage. This also leaves our clients free to move their sites to or from our hosting without much hassle, should they choose to. WordPress has a bank of over 56,000 plugins (as of writing this post), which can make adding large features to a website much quicker than you would otherwise be able to. While lots of these are only small tweaks, some of these can add large and fully featured capabilities without a large amount of work being required. Adding a small store to sell merchandise from your website is not something that can be quickly thrown together on a custom solution, or even on most other CMS platforms, but with WordPress it can be added onto a site in a very short amount of time through the use of plugins like Woocommerce. Creating an automated database migration tool could take hours of work and testing; especially for a larger site; but using Migrate DB pro this can be added quickly and easily. This said, a lot of problems people experience with WordPress sites made by other agencies is their over-reliance on third-party plugins. Some plugins can lead to a more confusing administration interface, a less secure or slower site. 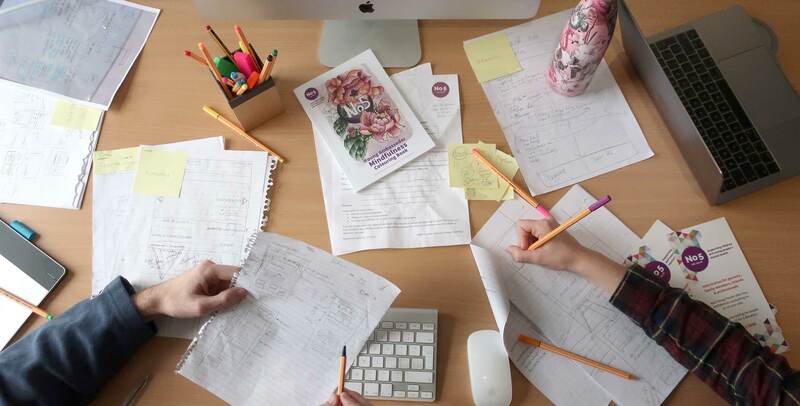 At Red Balloon we produce bespoke websites for our clients and so we make sure to only use plugins that we trust and only where they are necessary. We strip out unnecessary bloat and ensure that the user experience is as refined for admins as it is for end users. Are WordPress sites less secure? A common misconception is that WordPress sites are less secure. While it is true that there are some issues out of the box, most of the security problems faced by people using WordPress sites are due to user error, insecure plugins, and a lack of IT security knowledge by some WordPress developers. Security is often on the forefront of our minds and we make sure that these security issues are closed off for our clients sites. You can read more about some of the security measures that can harden WordPress sites on this great blog post here. WordPress also has a reputation for being slow or cumbersome. This usually happens on sites where all features are added using different plugins. Each plugin can add a large number of scripts, styles and images that aren’t all required onto the page. When we decide on which plugins to use for a site this is one of the first things that we consider, and we avoid using plugins that indiscriminately add large amounts of code, or extra files for users to download, unless they are required. We also make use of caching plugins where possible. This means that instead of the website building the page from scratch for each user, it produces the page and then saves a copy to be sent out to users when the page is loaded. This can very easily make a website 4-5 times as fast just through the use of caching. WordPress is just a tool and like any tool if it needs replacing we are willing to replace it. We constantly follow new technologies that are being produced to ensure that we are making the best sites we can for our clients. If a better option presents itself then we will certainly make the jump to a new content management system. We have found that WordPress is a great tool for creating websites that are easy to maintain for our clients; works with their budget and is both secure and fast enough for their requirements. It is also flexible enough to allow for shifting requirements to meet their changing business needs. If you’re interested in getting a website developed, please contact us to discuss your project. Mark joined Red Balloon as an apprentice developer and is now the development lead on major digital product launches for our clients.